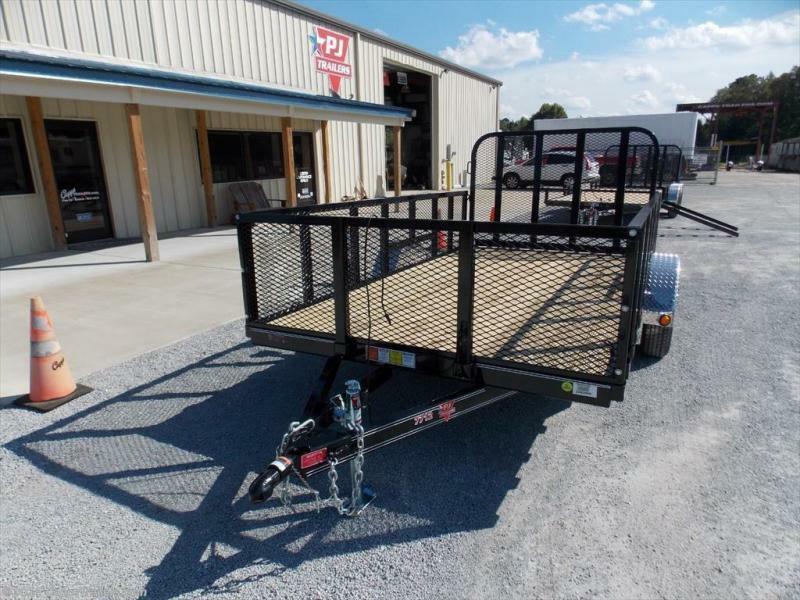 PJ U221231DSGK2JT 72" X 12', 2,995 G.V.W.R., 3,500 x 1 G.A.W.R., 2" Ball Coupler, Safety Chains, 1 - Pipe Mount Swivel Jack (2,000 lb. 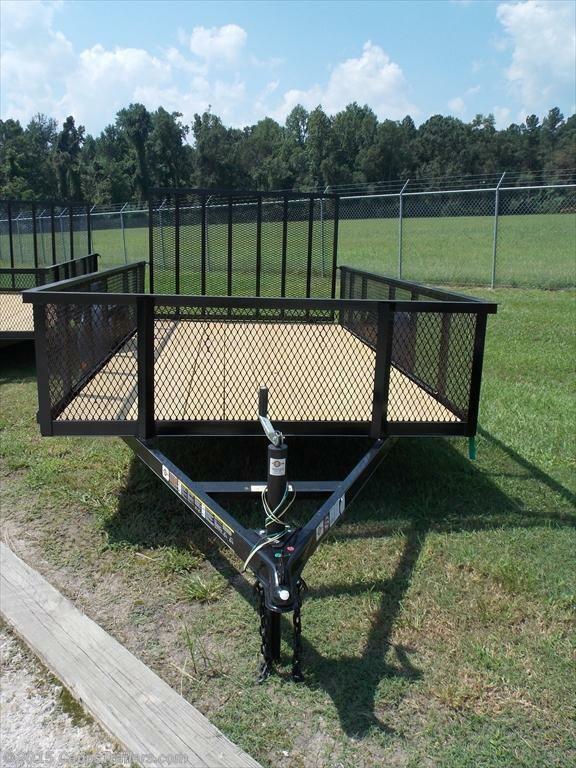 ), 1 - Posi-lube Idler Axle (3,500 lb. 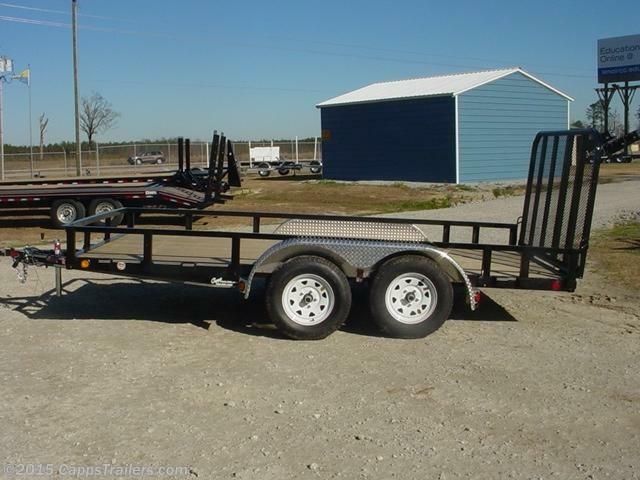 ), 4 Leaf Double-eye Spring Suspension, 2 - NEW 15" White Spoke Wheels, 2 - NEW ST205/75R15 Radial Tires (1,820 lb. 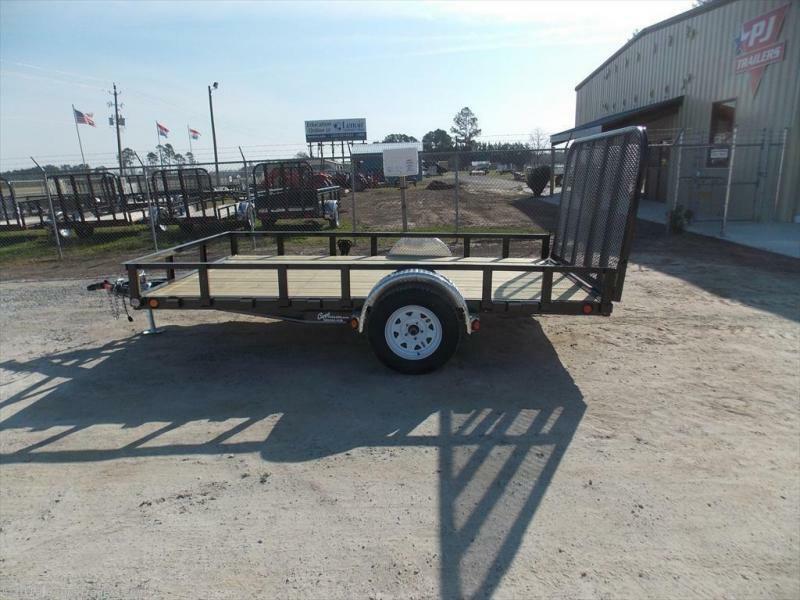 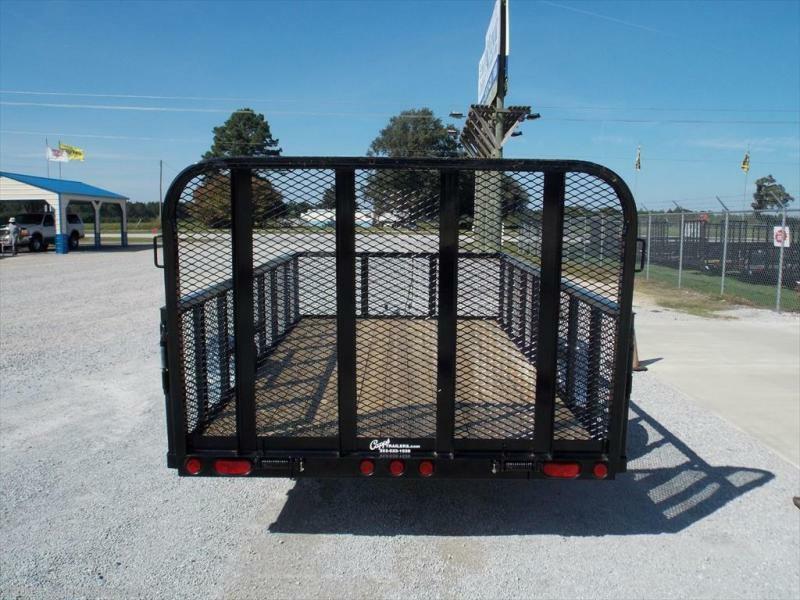 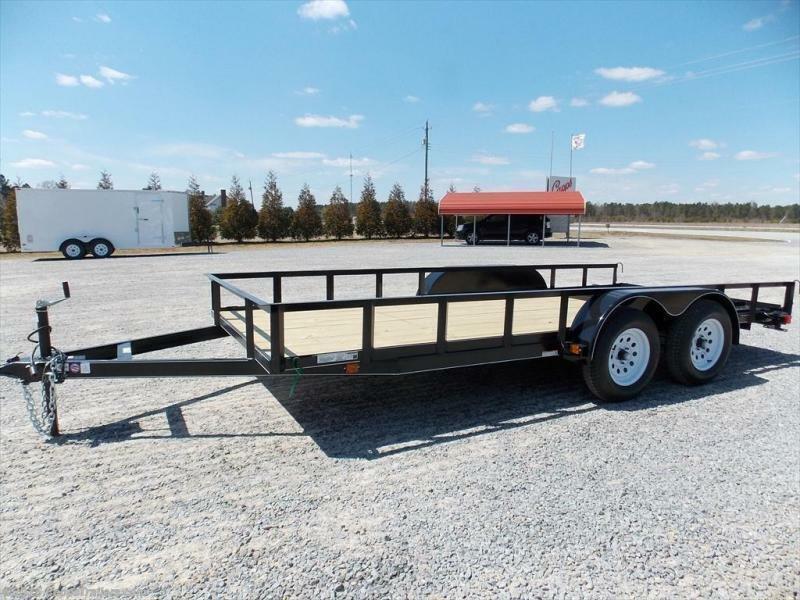 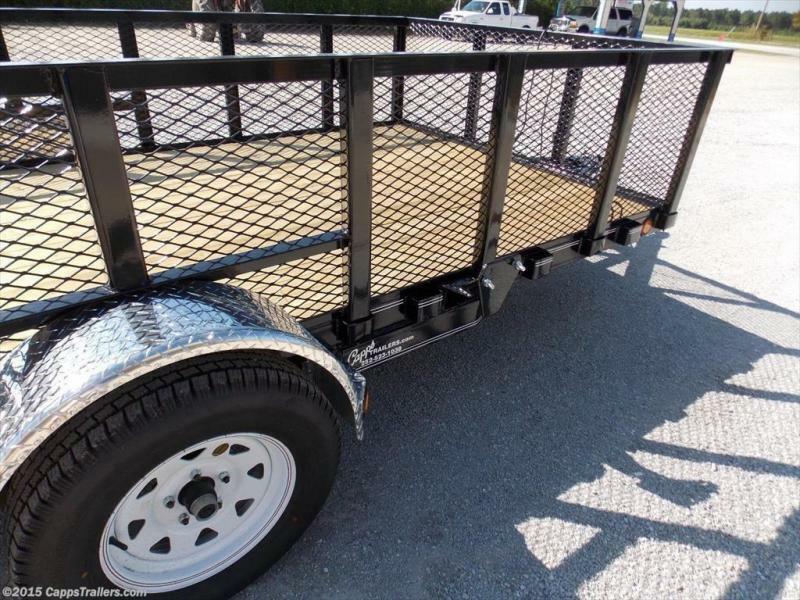 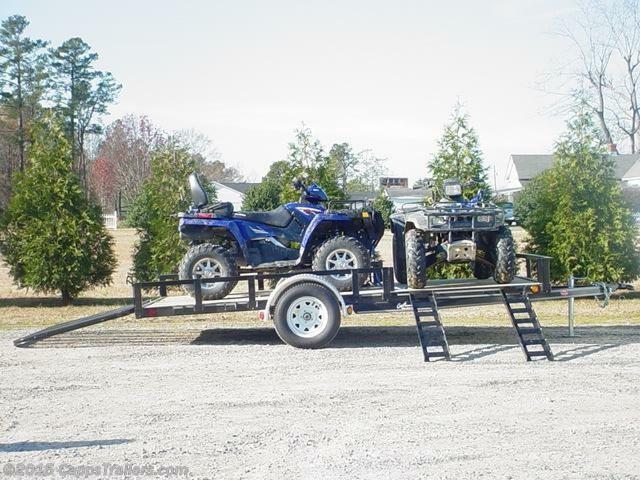 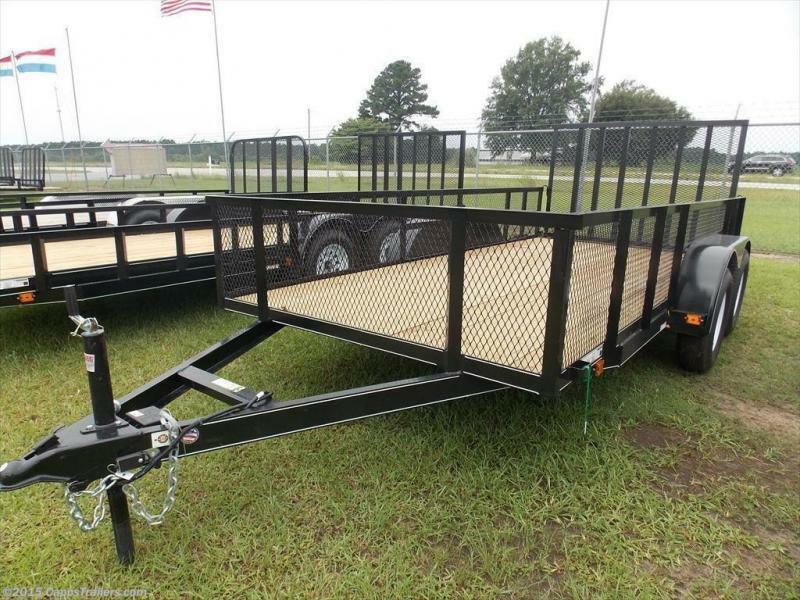 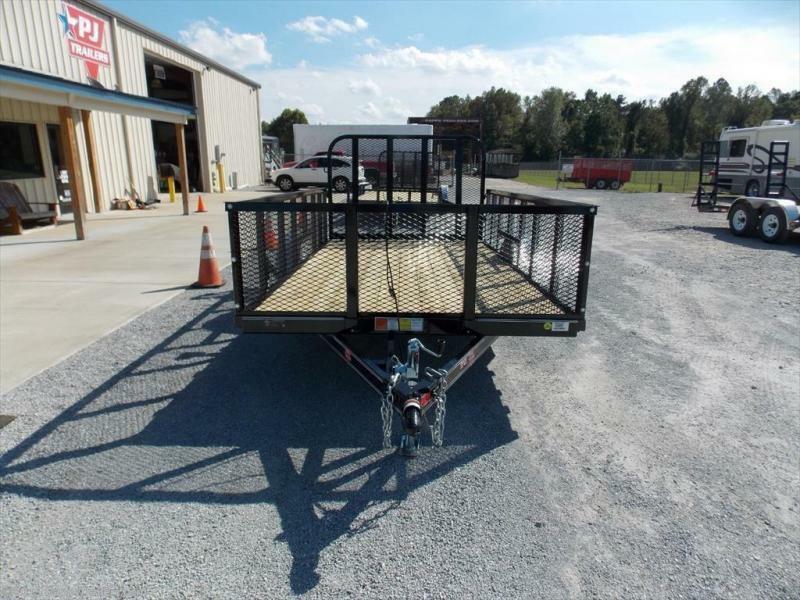 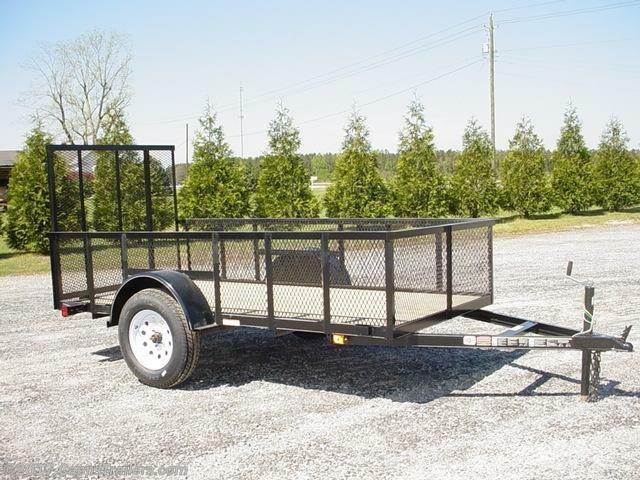 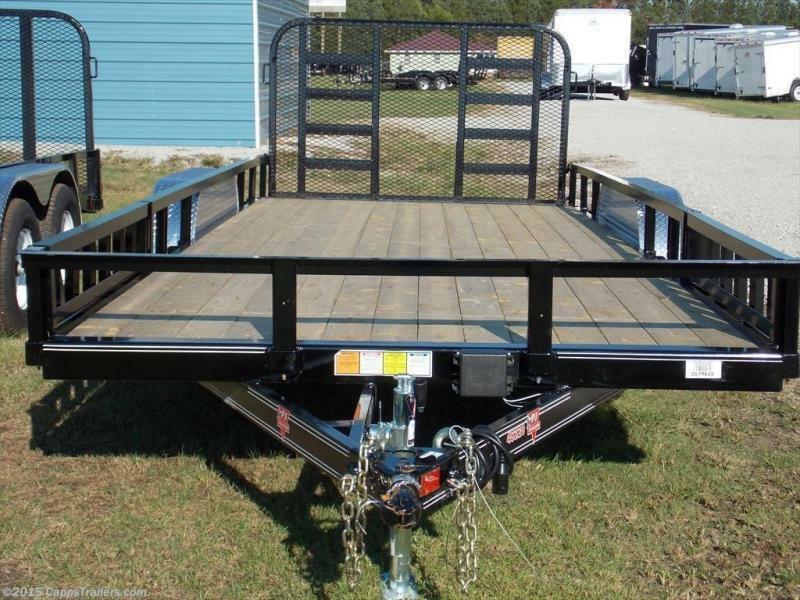 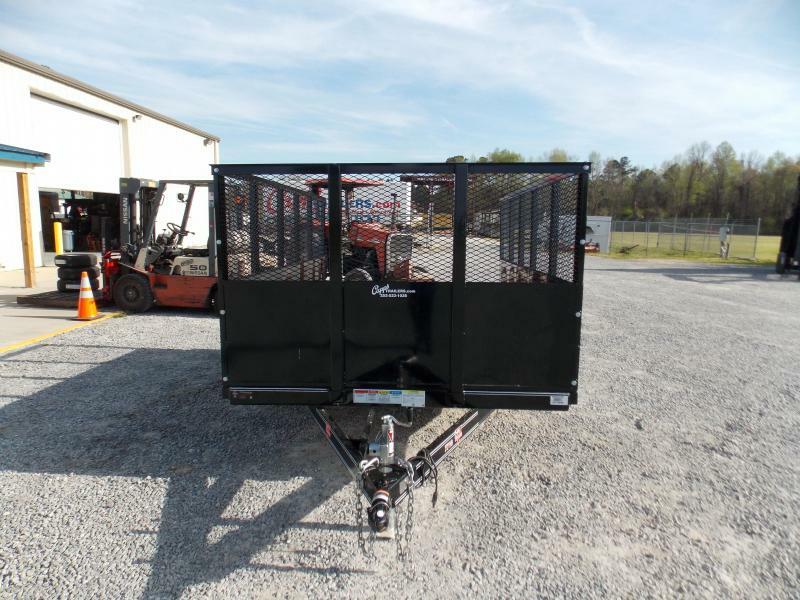 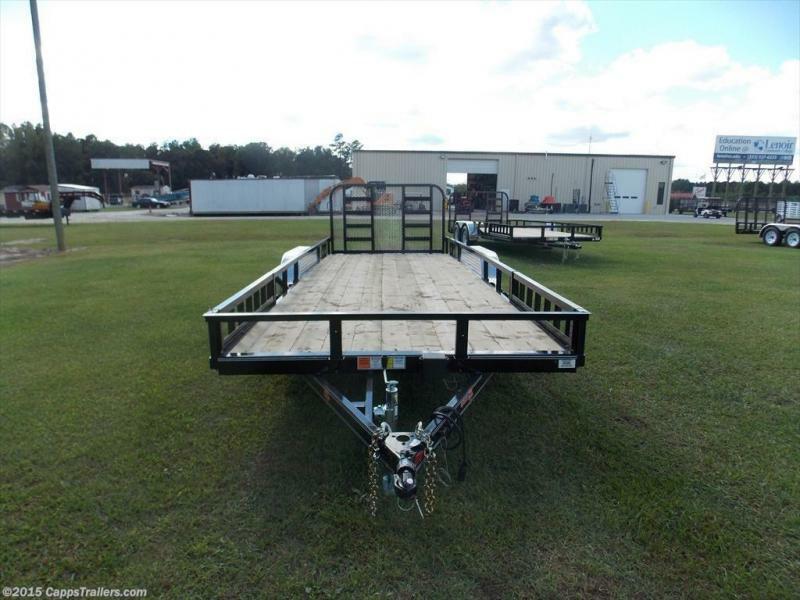 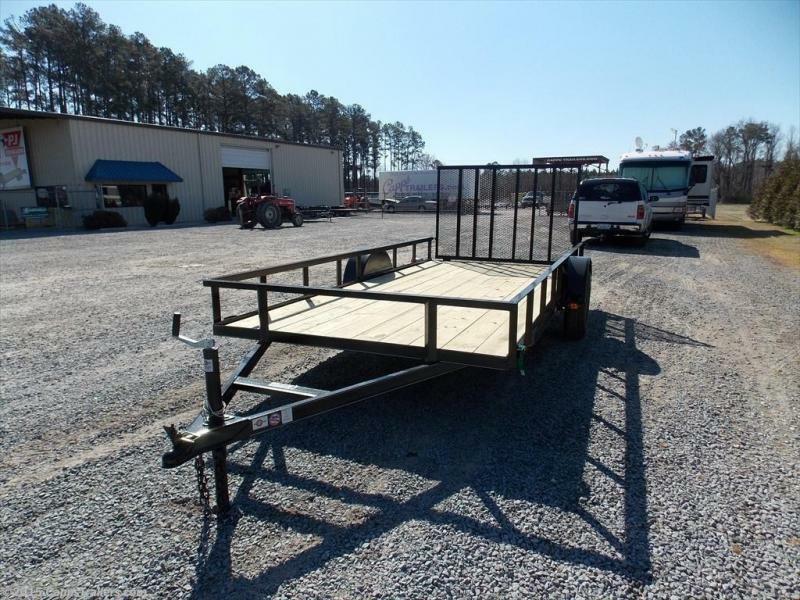 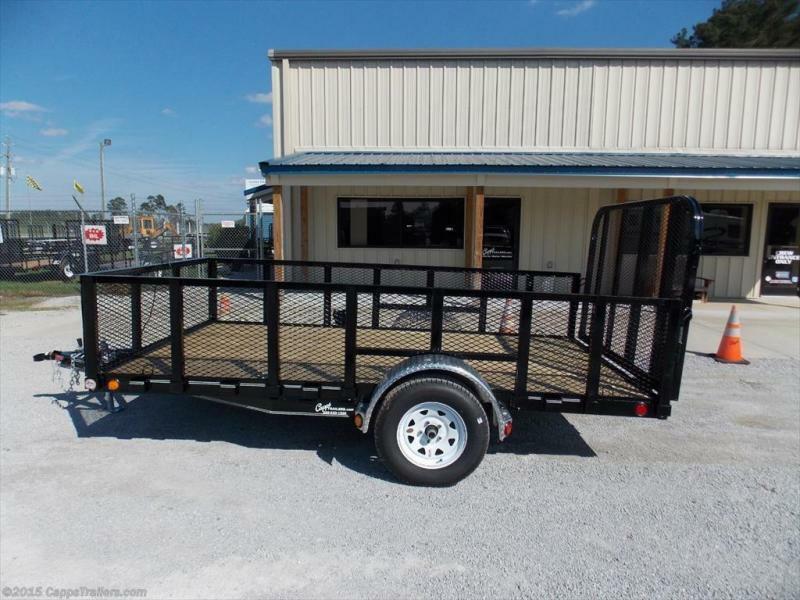 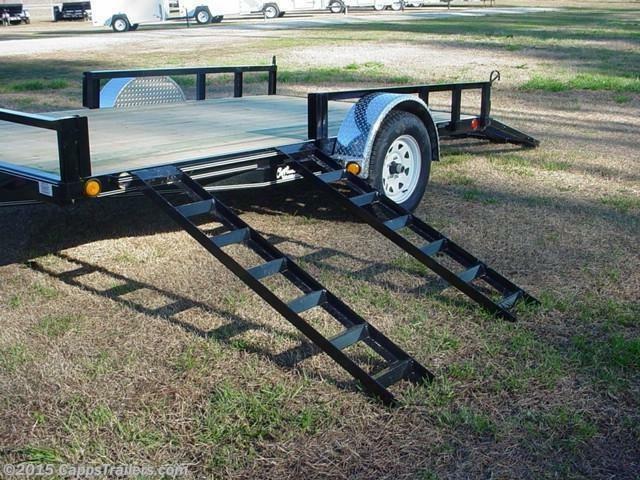 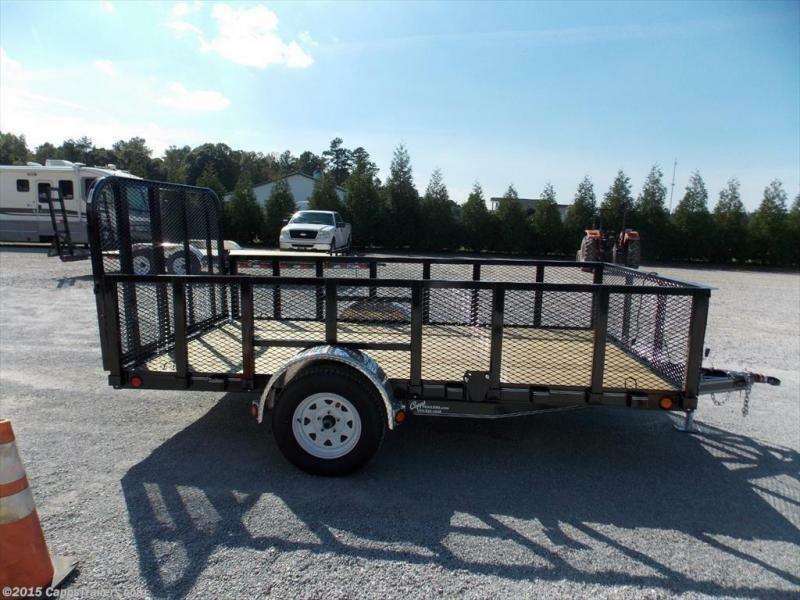 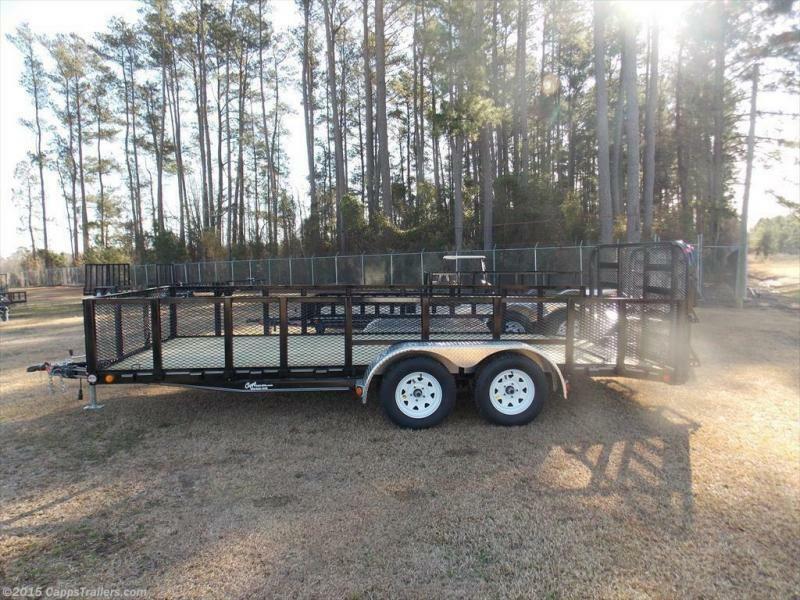 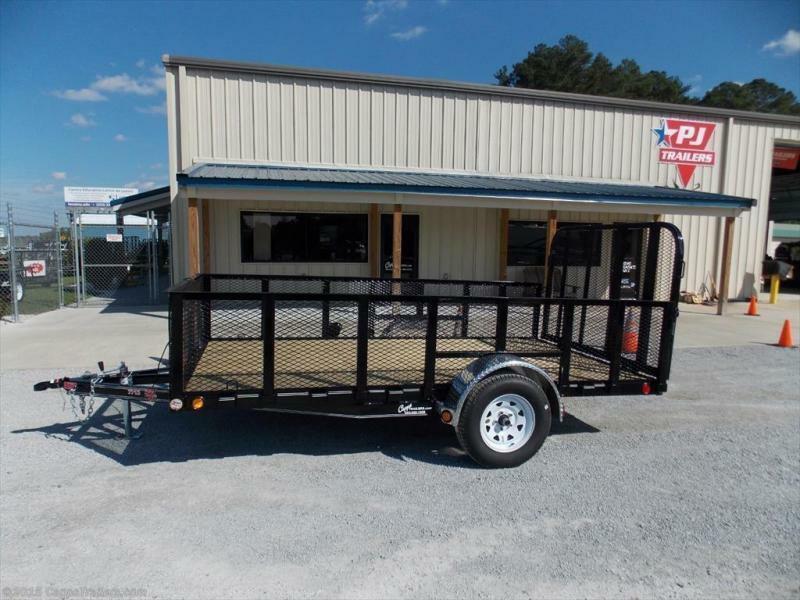 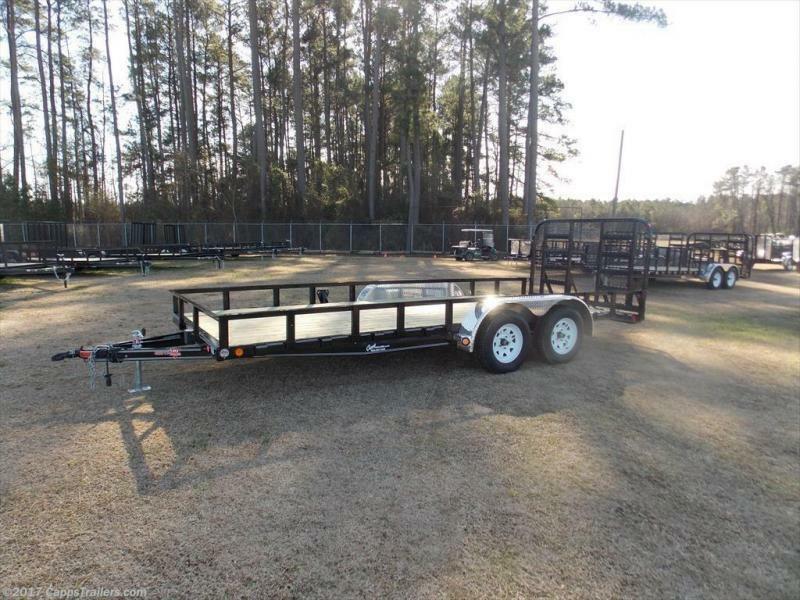 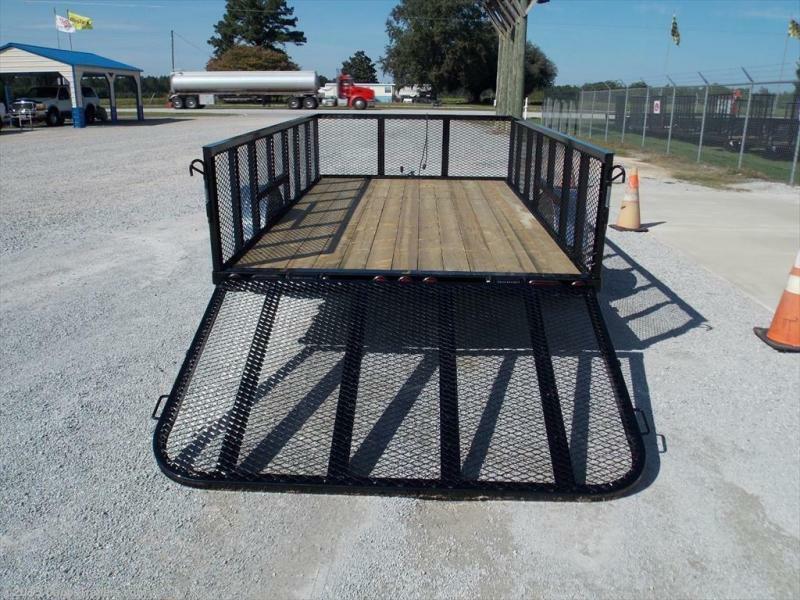 ), Stake Pockets, 9" x 33" Treadplate Removable Aluminum Fenders, 4" Channel Frame & Tongue, 2 1/2" x 2 1/2" x 3/16" Angle Crossmembers, 24" Mesh Removable Sides, 2" x 2" Top Rail, 2" Treated Pine Lumber Deck, 77" Wide Deck, DOT Approved Flushmount Lights, Sealed Wire Harness, Sand Blasted, Acid Washed, Powder Coated, Straight Deck w/ 4' Fold-up Gate, Spare Tire Mount.